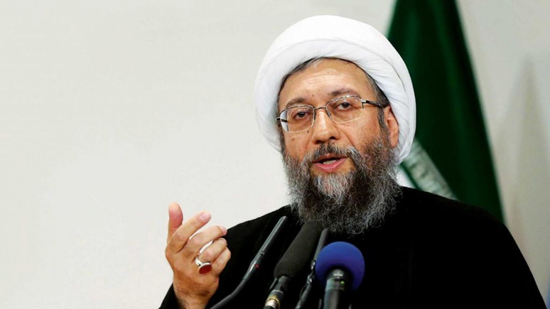 Referring to a recent move by the United States to blacklist Islamic Revolution Guard Corps (IRGC) as a terrorist group, Chairman of Iran's Expediency Council Ayatollah Sadeq Amoli Larijani said that if they do anything in practice, Iran will give proportionate response. Ayatollah Amoli Larijani made the remarks on Thursday speaking during the first Expediency Council session of the Iranian New Year (started March 21, 2019). 'Of course it was not the first wrong act of the US government,' Ayatollah Larijani said, noting that the US has already recognized Beit ul-Muqaddas as the capital of the Zionist regime and has recently recognized Syria's Golan Heights as part of Israeli territory. The fact to officially label main part of a country's military forces as terrorist is a foolish and unwise act which runs counter to international regulations, the Ayatollah said. However he argued that such measures well indicate that the US has failed to gain what it expected from unilateral exit from Iran nuclear deal. He said that the American expected that Iran's economy would collapse following the US withdrawal from the pact and now that they have got disappointed, they are seeking other measures to reach their wicked goals.